If you want to have something really unusual and fascinating in your home, then pay attention to interior items with floating effect created by modern designers. These unusual items, seemingly contrary to the laws of physics, will be a great decoration in the interior in futuristic and high-tech style. Furniture designers offer a large variety of furniture and home accessories to make our life brighter and more comfortable. However, today the most exacting audience requires unique, surprising and unusual furniture to stand out from the masses. Here are the examples of unconventional furniture and accessories, which will be the cynosure of all eyes. Dutch architect Janjaap Ruijssenaars designed a bed inspired by Stanley Kubrick’s film. Using like magnetic poles he made the construction literally float above the floor. Such a design may become very relevant in the modern interior. The system operates by using two powerful magnets, one of which is installed in the floor, and the other – to the bed frame. Since both magnets have the same poles, they never fall on each other. Wires that hold the bed are preventing it from rising. The bed is made of metal, not harmful to humans and can withstand 2000 lb load. 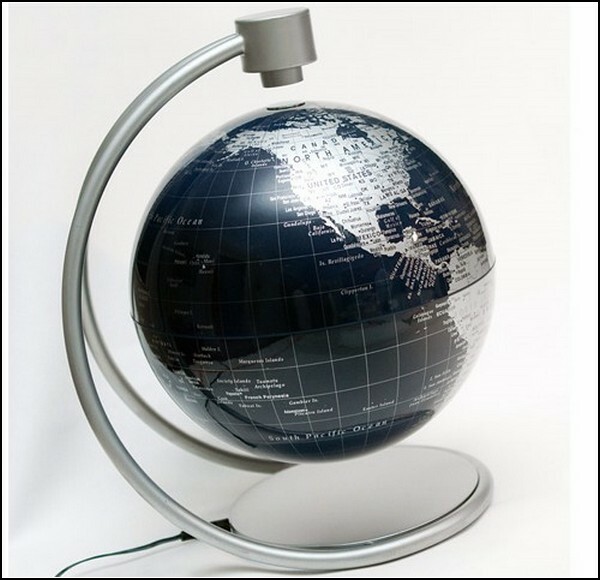 This globe operates on a magnetic pole and pull. It also has an incorporated computer chip that helps to control the process of “floating” in the air by trapping the slightest atmospheric variability and change. The ball should be properly fixed between the upper and the lower magnets and may be rotated if to turn it slightly. However, for this one would need to use an electric main. 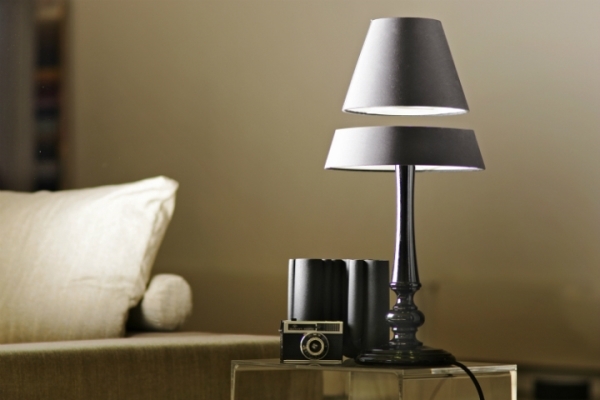 The lamp with levitation effect is a luxury designer light fixture. Its special feature is that the half of its top is floating in the air above the bottom. For this effect “integrated levitation technology” is used, which includes electromagnetic components and complex control system. The device has to spend extra energy to maintain a kind of suspended state. However, due to new fuel-efficient LEDs, electricity consumption is not high. These design projects are quite pricy. But there are ways to achieve levitation effect on budget. For example, the effect of floating in the air can be created by installing LED lights on the bottom of a bed, a table, etc. You also can create the illusion of a floating object by setting a single pivot point, which is located at the center and hidden from the eyes. There are also beds and tables that are fixed to the wall and are literally hanging above the floor.